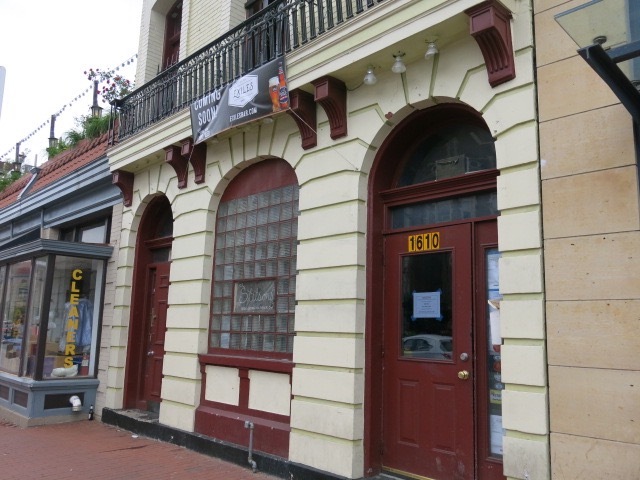 “First time owner/operators Donagh Gilhooly, Brian Hillery and Danny Price opened Exiles Bar, a neighborhood restaurant located at 1610 U St., NW, formerly Stetsons Famous Bar & Grill. The trio has worked at various locations throughout the metro-area since 2006, most recently at a pub in Arlington, Virginia. Joining them is Chef Emer O’Rourke, the accomplished head chef of Northside Social in Arlington since 2010. Chef O’Rourke, whose award-winning style is straightforward in approach, offers modern touches on traditional comfort foods. Steven Fedorchak, owner of the Liberty Tavern Group, is also involved with the project as a consulting partner and advisor. After a massive renovation, including construction of a new kitchen, second-floor bar/restaurant area, the addition of a billiards room and five brand new bathrooms, Exiles Bar is excited and honored to join the U Street Corridor. Much of the building has been stripped back to its original brick and stone. New windows and lighting provide warmth and clarity to this historic building, which has operated as a restaurant continuously since the 1930s. Join Exiles Bar for its grand opening celebration on July 21, 2016, at 7:00 PM. The evening will feature live music, complimentary menu samples, and drink specials.